How do I sign up for a ShareDesk account? 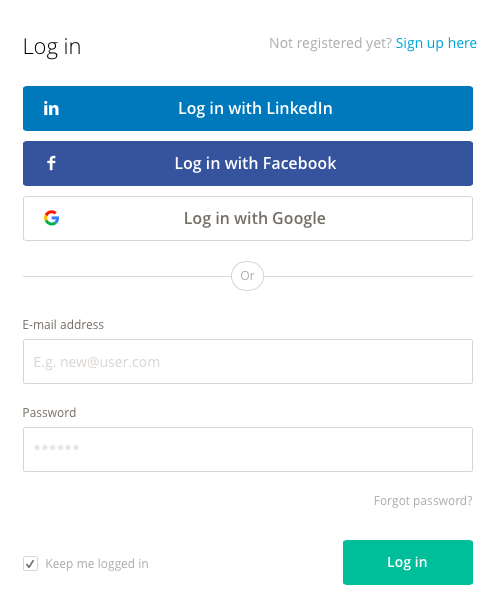 You can sign up from the homepage by clicking Sign in, and then selecting Sign up here in the top right corner or by selecting Log in/Sign up from the left side menu. Pro Tip: You can sign up using your social accounts, or by using a valid email address.